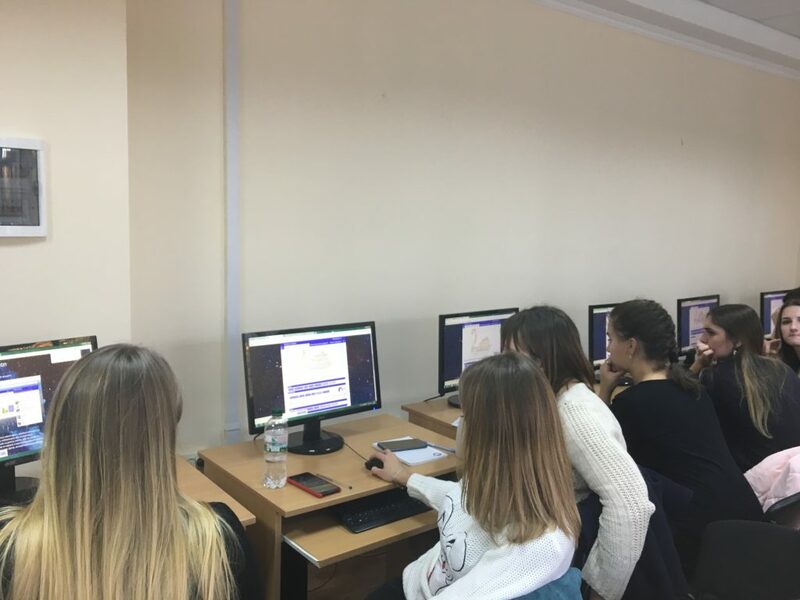 Education (external form of education) was held at the Pedagogical Institute of Borys Grinchenko Kyiv University on October 22, 2018. 19 students of the group POb-1-16-2.6z and 23 students of the group POb-2-16-2.6z participated in the training. Some students already work in educational institutions, in particular 6 students of POb-1-16-2.6z are primary school teachers, 2 are pedagogical staff, and 11 students of the group POb-2-16-2.6z are teachers of elementary school, and 3 are pedagogical staff. As part of the training, students learned about the model of the implementation of Inquiry Based Learning and resources for its support.The participants familiarized themselves with the structure of the Go–Lab portal, the features of the virtual labs search on Phet.colorado.edu, and the Graasp platform for creating Inquiry Learning Spases (ILS).Students reviewed the methodology of using Inquiry Based Learning technology at elementary school using ILS, features of creating ILS for elementary school students using the Graasp platform apps.